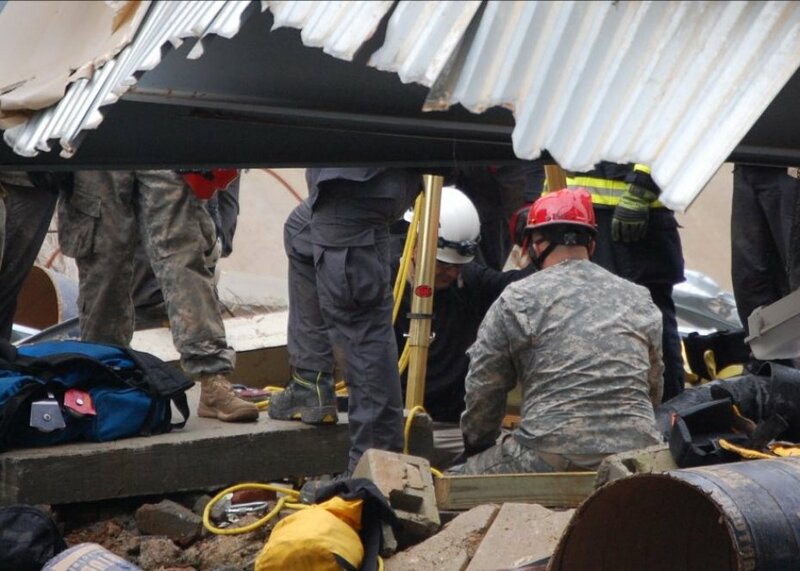 The Department of Defense has many types of teams to respond to technical rescue situations as well as teams to assist civilian agencies and help citizens in the event of an emergency through the Defense Support of Civil Authorities mission. These teams are trained in many of the search and rescue skills in the same way as civilian teams. Guardian Centers welcomes the opportunity to provide the civilian technical rescue training curriculums and certifications to members of our armed forces as well as provide instructors with the knowledge and experience to teach your unit courses designed to meet your training objectives. Additionally, Guardian Centers has the ability to develop customized curriculum and provide training to meet any rescue situation you may encounter to include working in permissive or non-permissive environments. Our key personnel and subject matter experts have the experience and past performance to deliver the best training available. Guardian Centers provides instructors and controllers with backgrounds in serving and instructing DoD teams. They understand how the teams work, what their capabilities are, and how to best meet their training objectives.